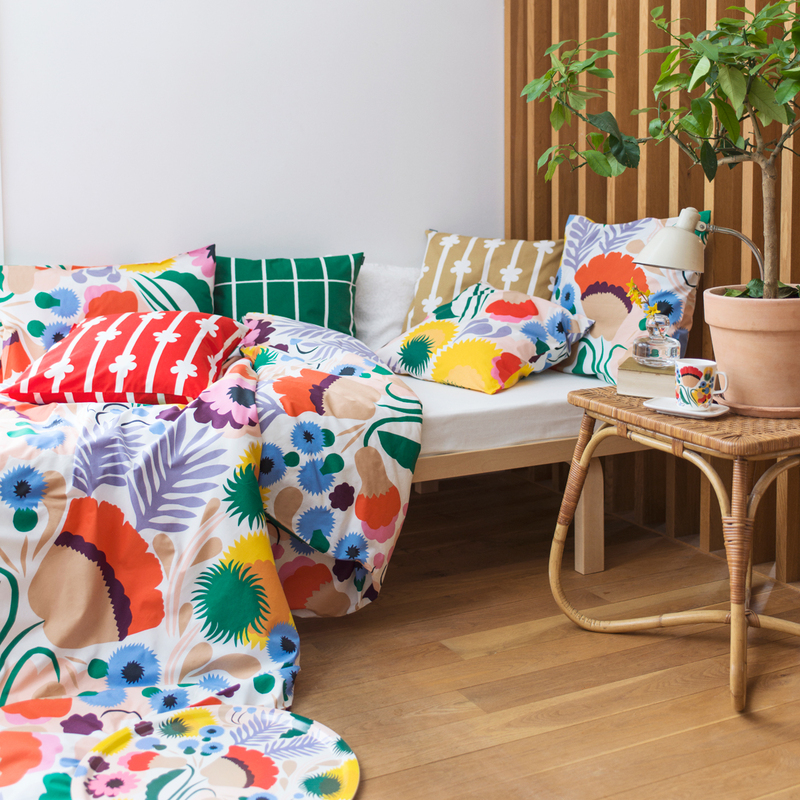 More about Marimekko Ojakellukka Bedding You'll be more apt to make your bed every day in order to showcase this cheerful design. Aino Maija Metsola's Ojakellukka pattern is a modern take on the Water Avens flowering plant. Both soft and vibrant colors saturate organic shapes to form a field of flowers, which grow across a crisp, white backdrop. 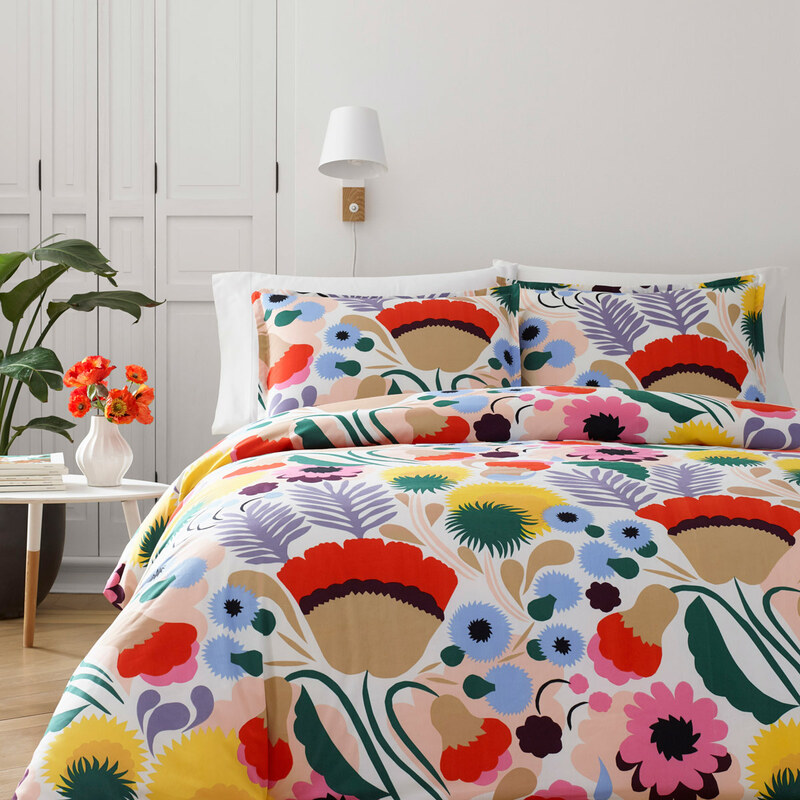 Made from 100% cotton percale in a 300 thread count, this Marimekko bedding is as beautiful to crawl into as it is to gaze upon. This is the most colorful, sofest, comfiest best thing I've ever bought. I reccomend it to anyone!! I accidentally ordered the comforter set, instead of the Duvet. I decided not to bother with returning it and ordering the Duvet. The upside is, I donâ€™t have to fluff the comforter daily, and itâ€™s the perfect weight. Downside...we will see how it fits in my washer. 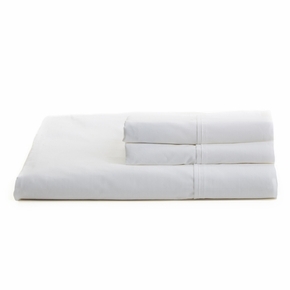 Beautiful and love the softness of the material and overall design of the duvet. Beautiful vibrant colors in high quality soft cotton fabric. My only complaint is that the button holes are a little messy with strings that get caught on the buttons. Fast shipping from finnstyle, my order arrived much before I thought (though I live near by). Overall very satisfied and will look at more of the duvet covers for the rest of the family. This comforter set has great floral design without it being too feminine. Our son is using it in his Airbnb and has had a lot of good feedback. The fabric quality is excellent so you can wash it easily. 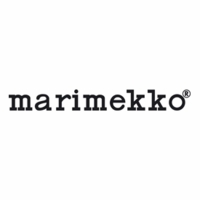 This is a great site for finding marimekko today...can be hard to find this wonderful brand but FinnStyle has it and at great prices. 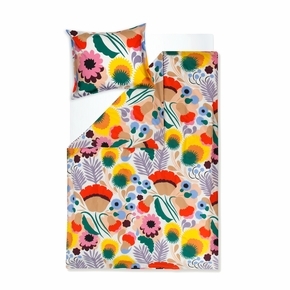 I am thrilled with my purchase of the full/queen comforter set in a bright Marimekko fabric design. Delivery was speedy. Comfirter is bright and cheery, and the colors are true as shown. Great look for summer. 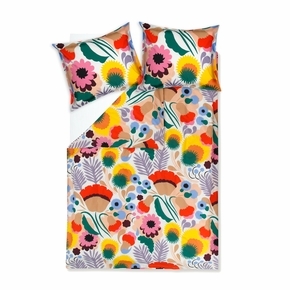 The duvet cover and shams are gorgeous. Soft and well made. Delivery was fast. thanks! Would like to have instructions for care, cleaning. Beautiful colorful and graphic duvet. The cotton softened up nicely after I washed it. The colors might not be as bright as pictured, but they are bright as it is. Is the comforter as heavy as a duvet, or is it more like a quilt? (Looking for something suitable for Texas summers...) Thanks!